Fuel, Roundhouse and King’s Cultural Institute present Waiting… to come home by Caroline Horton in collaboration with Jennifer Wild Waiting… to come home is the seventh in our new series of podcasts called While You Wait, each of which is a different meditation on the idea of waiting and created by artists in collaboration with academics from King's College London. If you were at Nine Worlds GeekFest this weekend, you may have seen the live episode of The Pod Delusion being recorded. We're big fans of the podcast about 'interesting things'. Does what it says on the tin. Amnesty International's Secret Comedy Podcasts feature the best up-and-coming comedians working in the UK today alongside household names. Throughout August they are back at the Edinburgh Festival for an extended run of 15 shows with hosts Julian Clary, Ed Byrne, Alan Davies, Jo Caulfield, Christian O'Connell and John Moloney. Victoria Broackes, from the V&A's Theatre and Performance department, and renowned music critic, Paul Morley discuss the possibilities and challenges of presenting rock and pop music in a museum setting. 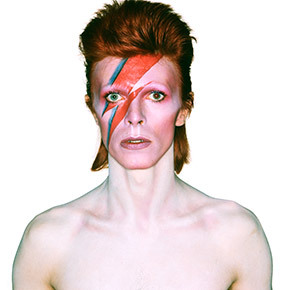 They examine how to bring alive displays of pop and rock material using multiple technologies as seen in the V&A's hit exhibition David Bowie is, and what the future of curating rock and pop music holds. Lewis Gibson is a theatre maker and sound artist. Through his work, he attempts to reposition the familiar, allowing alternative narratives to appear. Studio Audience – Series Three, Episode Thirteen with art, design and Beyonce. They've got the lowdown from the Women’s Literature Festival in Bristol, featuring Bidisha, Selma Dabbagh, Stella Duffy, Helen Dunmore, Beatrice Hitchman and more, plus highlights from our recent interviews with Peggy Riley, Emma Chapman and Tupelo Hassman. London's cultural monthly, Salon showcases fresh perspectives in science, pyschology and the arts. With inspiring speakers and a curious audience, Salon is brain-food served in a relaxed and intimate setting- now available as a podcast!